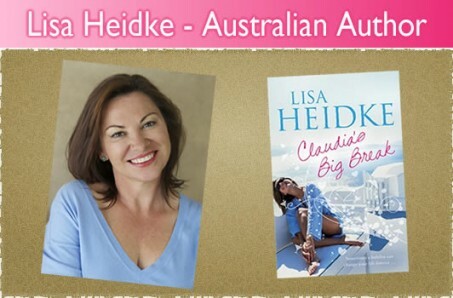 I had the pleasure of meeting Lisa at last years RWA conference in Sydney, and we even did a panel together along with Karly, Bron and Helene. It was my first conference so it was wonderful to meet such welcoming people and I’m delighted to have Lisa as my guest blogger. Thanks Lisa! I can’t wait to read CBB, especially as it’s set in gorgeous Santorini. Where did you get your ideas for Claudia’s Big Break? Hi Fee, Thanks for having me over at your blog. With my previous two books, Lucy Springer Gets Even and What Kate did Next, the plots revolve around main characters who are married and have children. 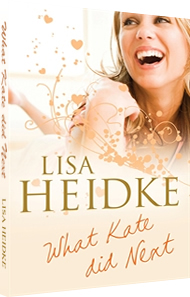 Both novels focus on the main characters, Lucy and Kate. With Claudia’s Big Break I set out to write about the relationship between girlfriends as opposed to a mother’s relationship with her partner and/or children. Of course, there are elements of this in CBB but I wanted the primary focus to be about Claudia’s relationship with her two long-time best friends, Tara and Sophie. Where did I get my ideas? By reflecting on my own long standing friendships and how they have changed over the years as well as eavesdropping in cafes and pubs (which I highly recommend). Every writer has different writing times for each book. How long did it take you to write CBB seeing as it’s your third book? Apart from an ill-fated Mills & Boon romance which is languishing in the bottom drawer somewhere, CBB was the first novel I wrote. From memory, I started writing it about 2002 and probably worked on it for a year before sending it out to publishers under the title, ‘The Holiday’. Dreadful mistake. It was soundly rejected. Then I started writing What Kate did Next and finally, Lucy Springer Gets Even. Over the years, I kept tinkering away at CBB, strengthening characters, refining the plot and adding/deleting scenes. I went from moments of wanting to toss the manuscript in the bin to deciding Claudia was my favourite character. CBB has been through too many drafts to count! How hard was it to find a publisher for your first book? 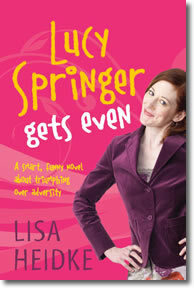 My first book, Lucy Springer Gets Even, turned out to be the fourth manuscript I’d written. I started getting serious about writing after my third child was born in June 2000 and I got a publishing contract with Allen & Unwin in August 2007. It was a very long and arduous hill but I persevered. Every one of those four manuscripts had been rejected (two were even rejected by A & U) but I persevered, refined them and kept writing. All authors have weird and wonderful writing patterns. What are your’s like? I’d love to tell you that I am disciplined and focussed but I’m not. However I am trying! 2011 is my year for being super organised. In an ideal world, I start writing at 9am and continue until 3pm, Monday to Friday. But sadly that’s not the case. Now I have a couple of books published, working on publicity also eats into my days. Whether it’s an online interview, a guest blog or keeping up with my own website maintenance, it all takes time. Plus, I like to read – I have a huge pile of books beside my bed which never seems to get smaller. Thanks so much for having me over at your blog, Fee. Congratulations on the release of your new novel, Heart of Gold. I can’t wait to read it!